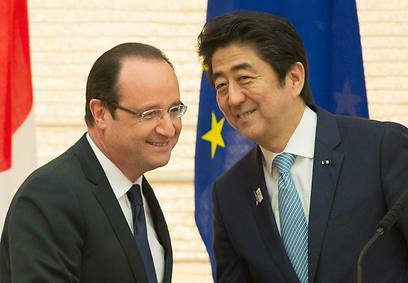 France's Francois Hollande was left red-faced in Tokyo on Friday after a slip of the tongue that saw him confuse his Japanese hosts with the Chinese. During a press conference Hollande, speaking in French, referred to the Algerian hostage crisis in January in which 10 Japanese nationals died, saying he had "expressed the condolences of the French people to the Chinese people." Polls in both countries show distrust of the other nation is rife and neither side's nationals like to be confused with the other.